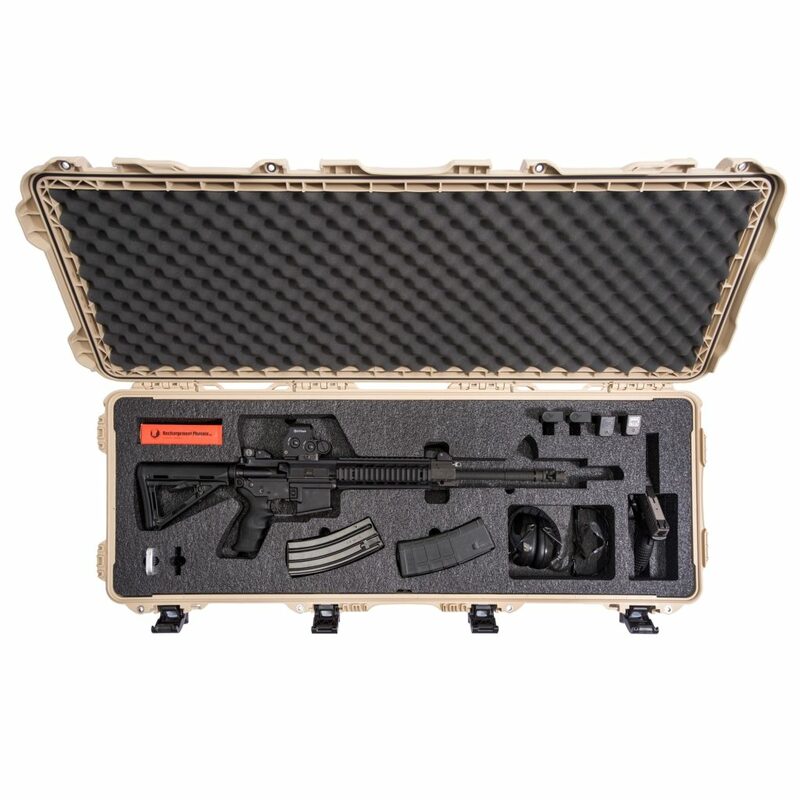 Gun Carrying Cases – Plasticase, Inc.
To avoid these problems, gun carrying cases are used as a convenient firearms storage and transportation solution. The gun can be placed in a case and then set in the back of a truck or on a boat during a hunting trip. When a case is used, owners don’t have to worry about damage from movement during transportation or exposure to the elements. The exterior shell of most gun carrying cases is made using a heavy duty plastic with ridges that help to make it stronger. Even if weight is applied to the case, it won’t break or allow the firearm inside to be damaged because it is so strong and durable. The case is the approximate length of the gun and may have extra room for ammunition storage. A convenient carrying handle is part of the case design, and secure latches are fixed at several points around the lid so that the case can be firmly shut. It’s important for the case to seal tightly so that water is not able to get in if something is spilled on it or if it is left out in the rain. The primary purpose of the case is to protect the firearm from any kind of damage so the gun can be used for a longer period of time. 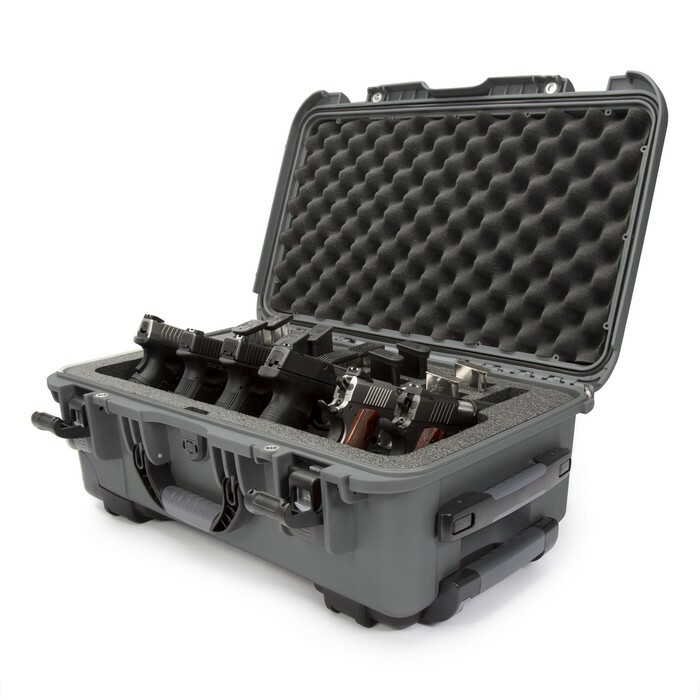 On the interior of the gun case, a cushioned foam lining helps absorb the shock from abrupt impacts and protects the gun from scratches by limiting movement. Sometimes the cushion is cut to match the exact dimensions of a specific gun model so that it is held firmly in place during transportation. Gun cases are sold at most major sporting goods stores and hunting equipment stores. Small briefcase-sized cases can even be purchased for handguns or extra ammunition when traveling to a shooting range or on an extended hunting trip. Gun Carrying Cases Owners of firearms are very careful that they store their weapons in a secure placed where they are not vulnerable to damage, rust or other factors that may cause deterioration. Careless storage of firearms could also lead to significant scratching on the barrel and handle of the gun.